It has been pretty chilly these last few days here in Utah and made me wish i had a nice chunky scarf to wear around my neck to keep me warm and cozy, Something with a pop of color and different then traditional scarfs.I came home determined to make my self a nice scarf that is different and started sketching away any ideas. Oh and I will tell ya i was a success at something i wanted. Went to the fabric store and picked up 2 different fabrics that i liked and thought would look really cute together. And so The BASKET WEAVE SCARF came alive. I think its cute! I like a raw look of the un sewn fabric. CUT 4 80×4 strips of 1 color fabric. CUT 6 80×4 strips of the pattern fabric. Set 2 strips aside. 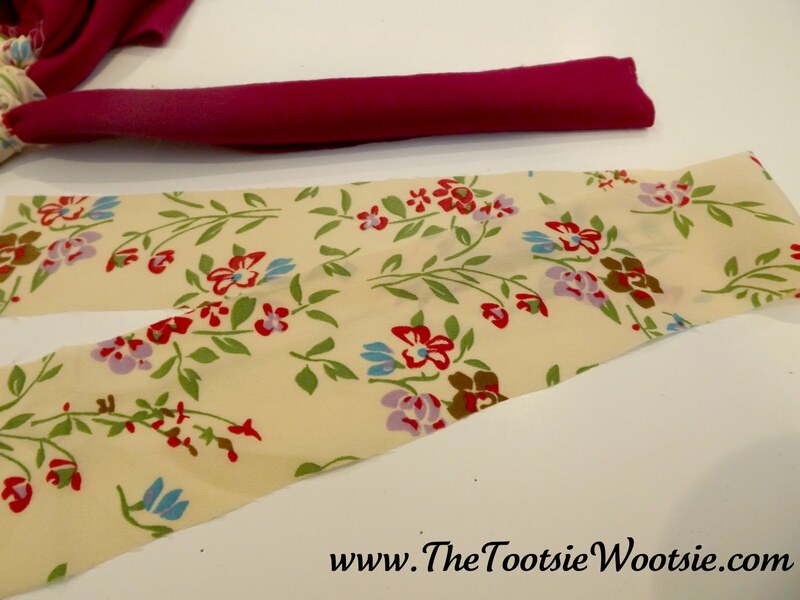 Sew the 4 pattern fabric ends to each other (right sides together) to make a LONG strip. 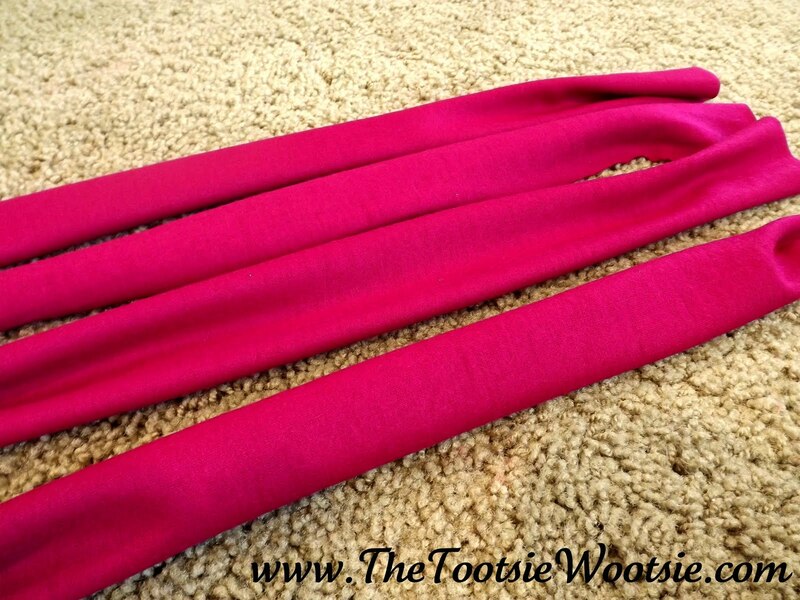 Since you have Very long pieces i found it easier to make this scarf on the floor. 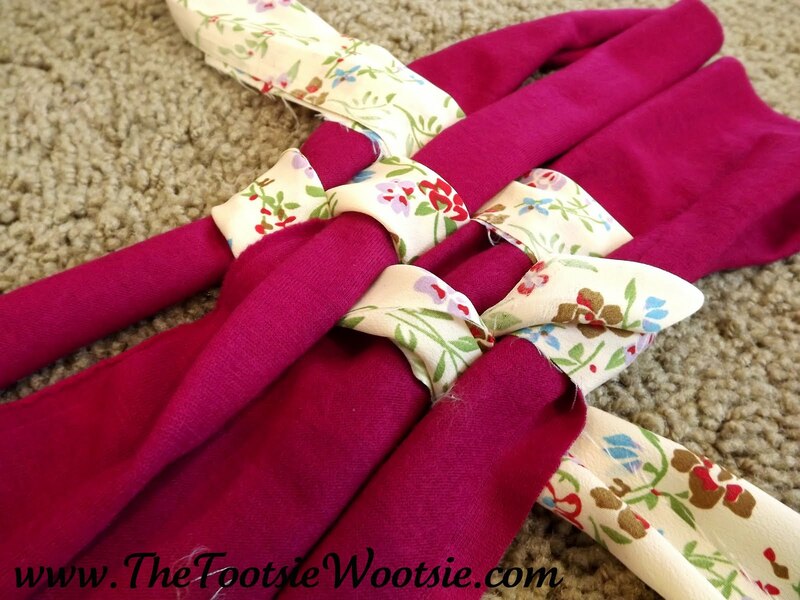 Lay the 4 solid color strips that you cut on the floor, straighten them out and put them close together. 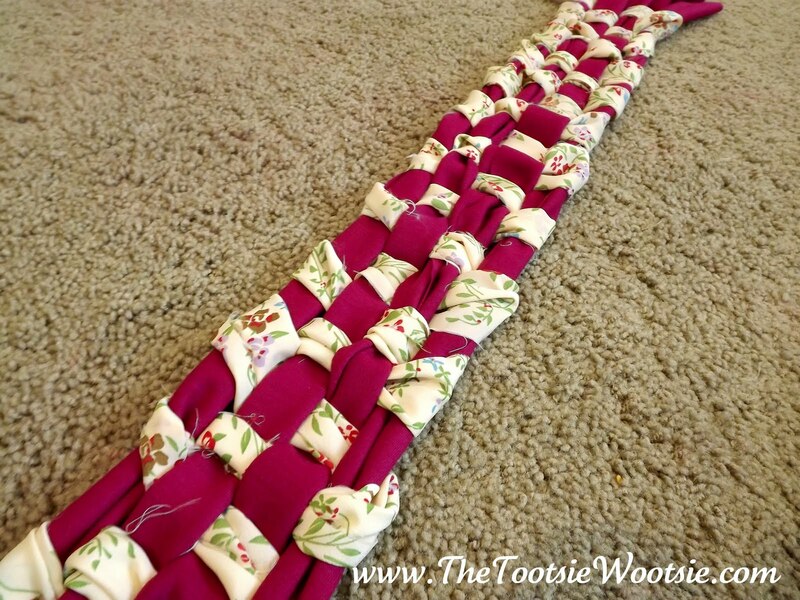 Now with that long strip you made of the pattern fabric you are going to use it and weave it through the solid strip. You will start off by going OVER one strip and UNDER the next, OVER and UNDER. UNDER, OVER, UNDER and over. Repeat until the end and make sure you leave about 5 inches at the end. 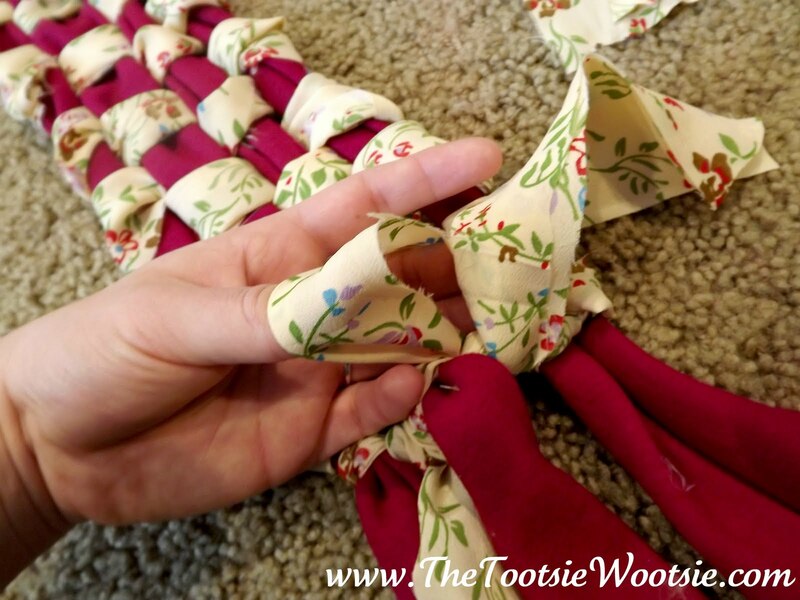 Once you get to the end and leaving about 5 inches untouched you are going to knot the ends together with the left over long fabric you have left from weaving. After you knot make sure you go OVER. KNOT, UNDER. KNOT and OVER. KNOT. 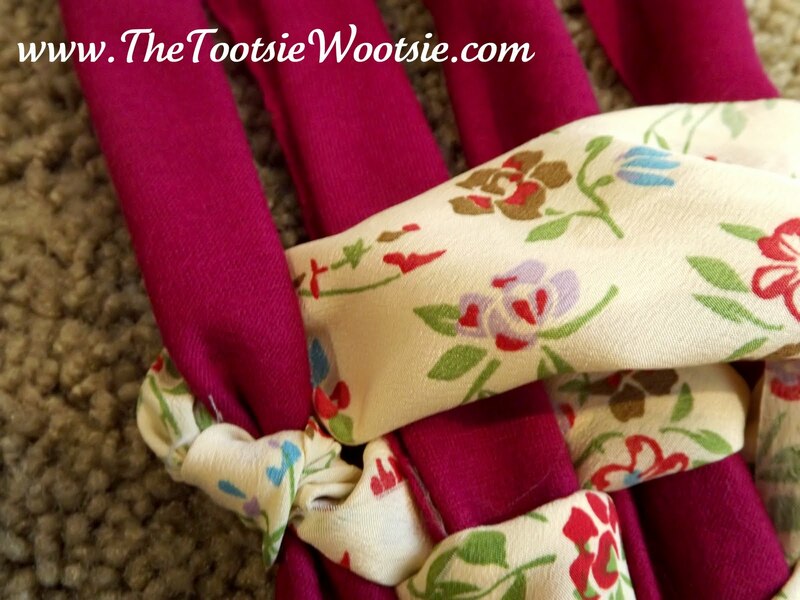 after you knotted both ends you will use the 2 stripes you set aside and measure exactly how long your plain fabric is left over in the ends. 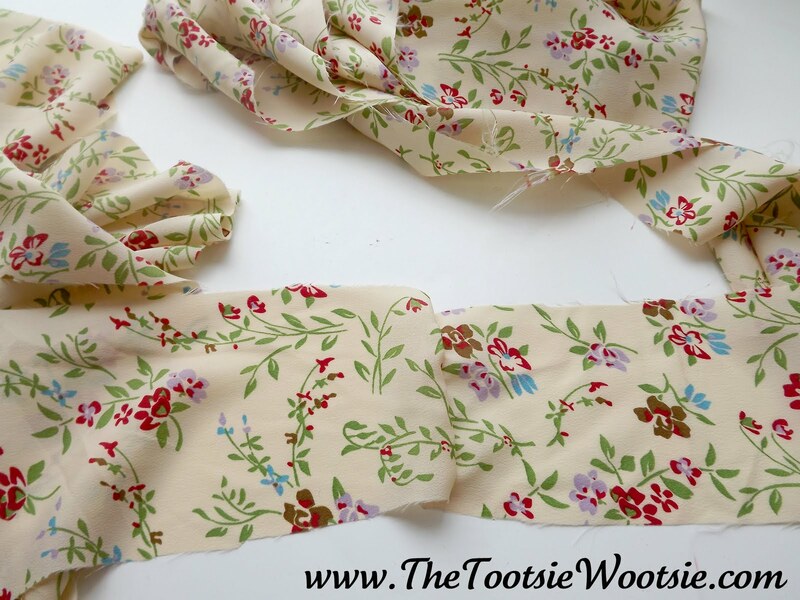 Mine was 5 inches so now for the pattern fabric i will double that length. My double length is 10 inches. CUT. 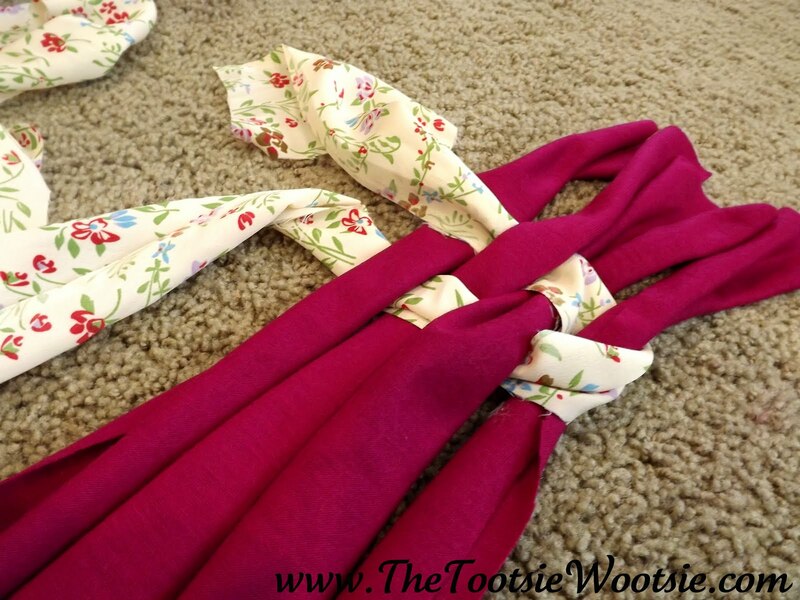 Fold the cut fabric and loop it over the ends of the scarf. Once your done with that Trim off the longer layer to make it even. Yay! 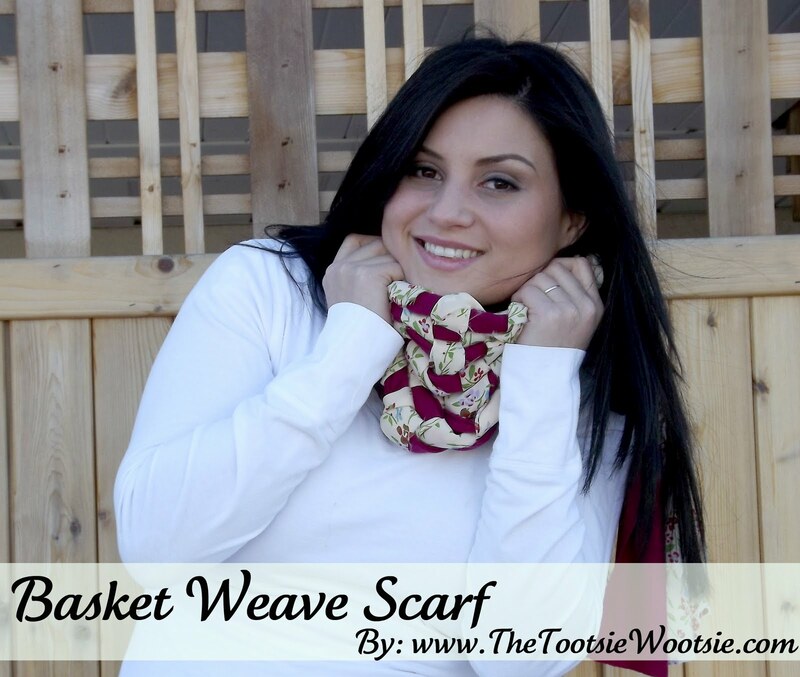 Now you have a Basket Weave SCARF! Stopping by from tt&j. 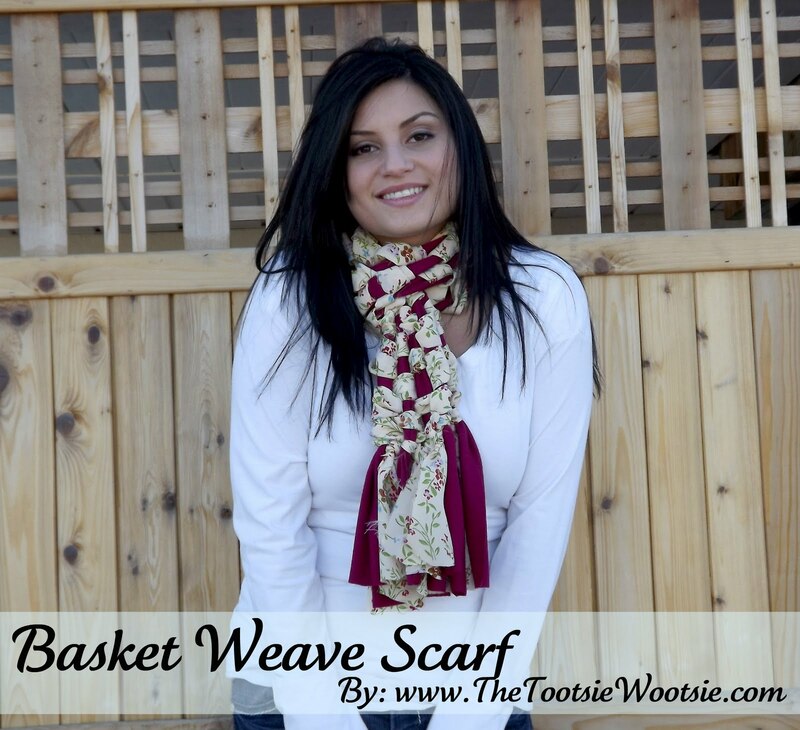 ; This is a really cool scarf. I’m definitely making one for my sister. Thanks for the tutorial. love this! wish we had a fabric store close by. Going to check out your Etsy shop. 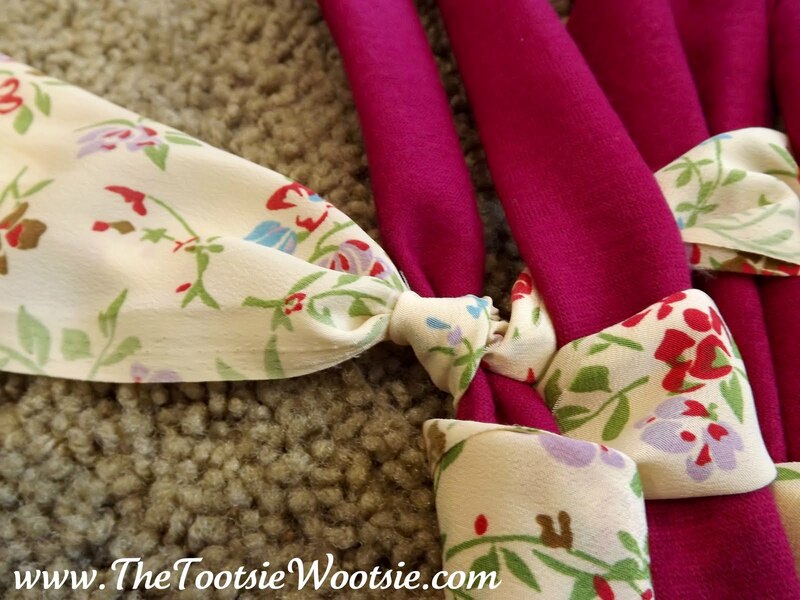 A great way to use two fabrics that you love! It looks fantastic! What a cute scarf! I love it! I may have to see if I can make one similar. Thanks for the post! Cute! What a fun idea! 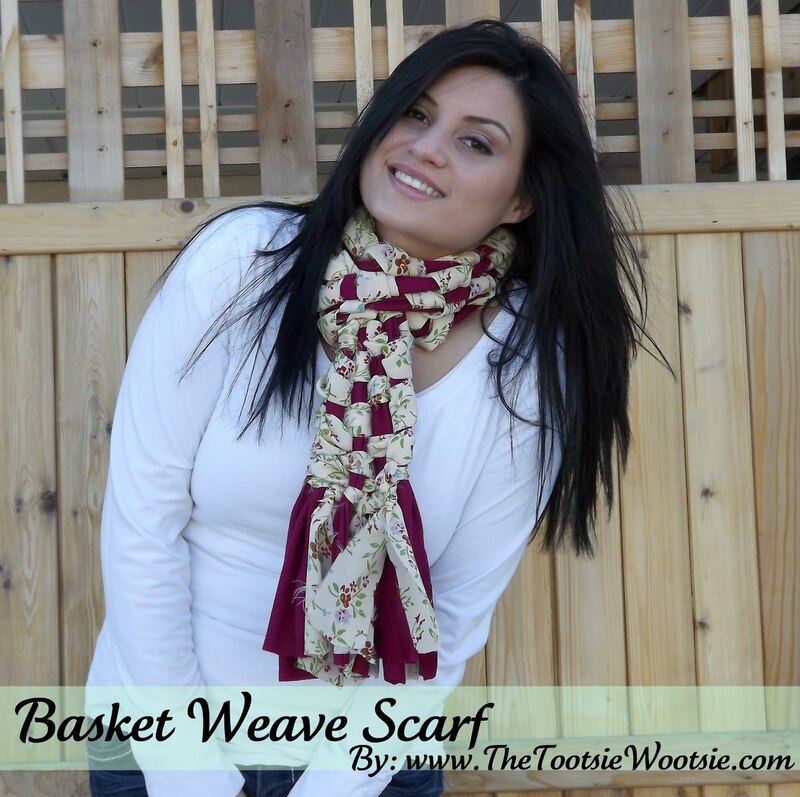 There’s so many scarves out there, but I’ve never seen one like this! « YAY! 50%OFF my shop!